Lightly dust boiled eggs with flour. Divide sausage meat into eight equal portions and press around the eggs. 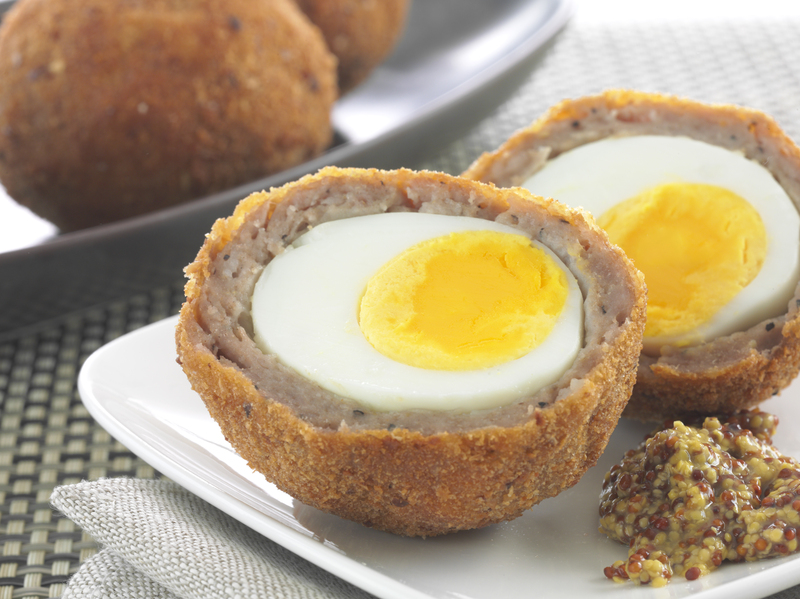 Dust sausage wrapped eggs into flour, dip into beaten egg and roll into crumbs. Heat oil in a fry pan to 180 C and cook scotch eggs for 4-5 minutes or until sausage meat is cooked and crumbs are browned. Lay on a paper towel to drain excess oil.